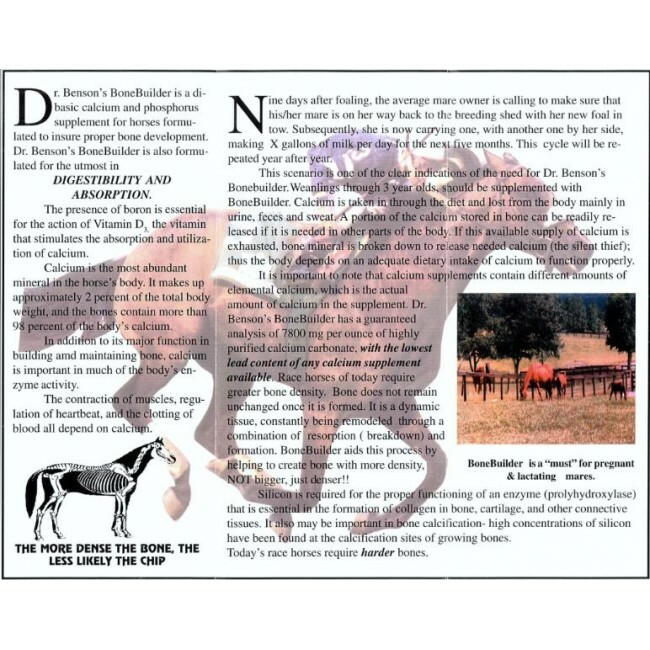 Dr. Benson's Bonebuilder is a must for pregnant and lactating mares!!! 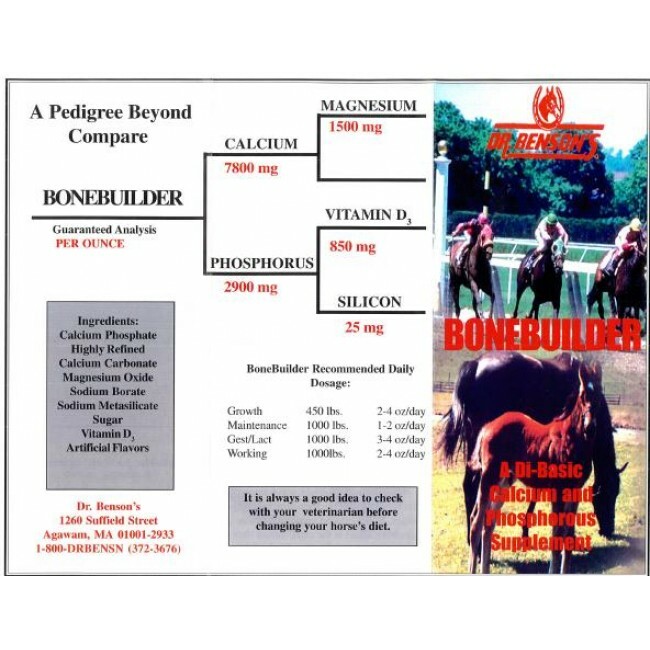 A di-basic calcium and phosphorus supplement for horses to insure proper bone development formulated for the utmost in digestibility and absorption. 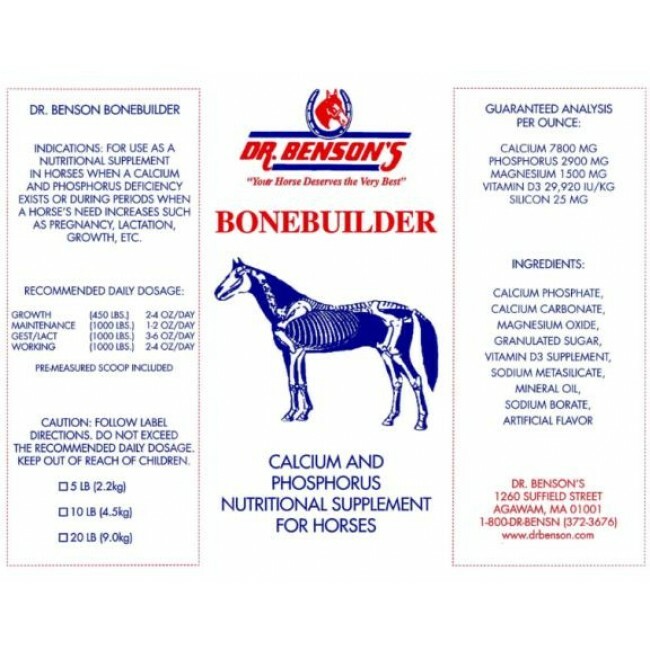 Dr. Benson's Bonebuilder has the presence of boron for the action of Vitamin D, the vitamin that stimulates the absorption and utilization of calcium carbonate, with the lowest lead content of any calcium supplement available!